Still looking for a holiday stocking stuffer? 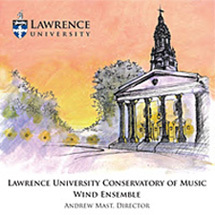 A pair of recently released CDs by the Lawrence University Wind Ensemble and Lawrence faculty jazz percussionist Dane Richeson will fit neatly into just about any size stocking. 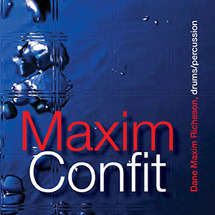 Richeson’s “Maxim Confit” features many of his friends both inside and out of the Lawrence Conservatory of Music. The nine-track jazz disc blends Richeson’s infectious drum work with the musical chops of pianist Bill Carrothers and saxophonist Jose Encarnacion, both colleagues at Lawrence, along with an array of all-star artists outside the campus, including saxophonist David Liebman, guitarist Vic Juris, and fellow percussionists Jamey Haddad (drums), Joe Locke (vibraphone/marimba), and Michael Spiro (bata/congas). Both CDs — as well as several other Lawrence-affiliated recordings — are available at Lawrence Apparel and Gifts in the Warch Campus Center . They can be ordered online as well as purchased in person.